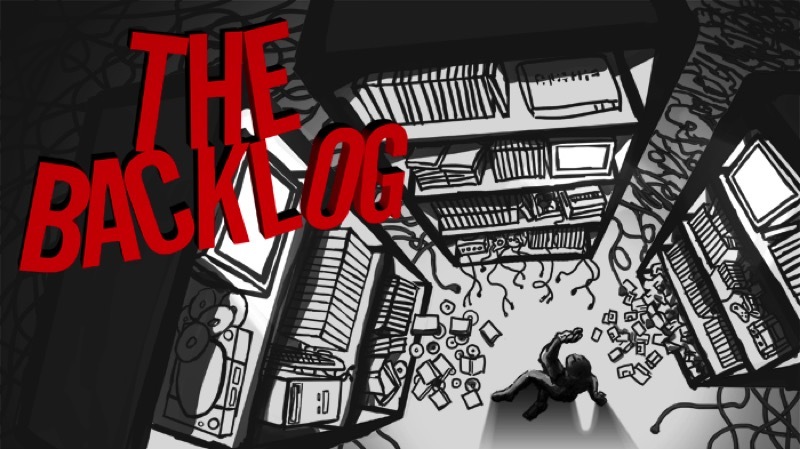 How many hours will your Steam backlog take? We often moan about our backlogs on Steam (or console). I like to view mine as a library of games for the future – a gift to myself when I eventually have time, energy and inclination. However, Geoff has pointed out that the longer I wait on some games, the less interesting they will be later on. So, how much time, energy and inclination would I need to complete my backlog? About a month, apparently. Steamleft.com lets you input your Steam ID and get an approximate time to finish your games. You don’t need to login – I’d recommend just inputting your ID instead; I never trust these sites. But how does it work? SteamLeft takes all the games in your steam library and compares your playtime for each game with the amount of time it takes to beat that game. Then it adds up all the differences to give you the total time in would take to beat all the remaining games in your library. These numbers are just rough estimations, but it is a fun figure to think about. Data on game time is taken from HowLongToBeat.com and sounds fairly accurate. 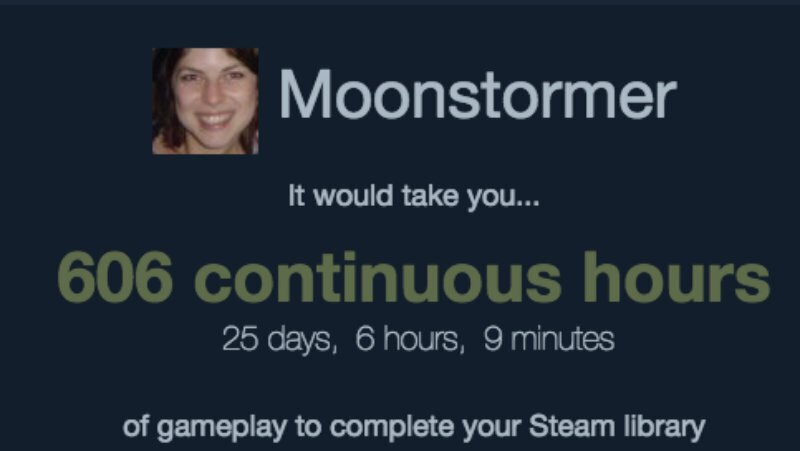 The current record for longest time to beat a Steam library is 40 700 hours. That’s 4 years, 235 days, 20 hours, 44 minutes. I think that guy needs to start working through the backlog. The average is 1 936 hours, or 80 days, 16 hours and 25 minutes. Mine is nowhere near that much; clearly I don’t have too bad a backlog. 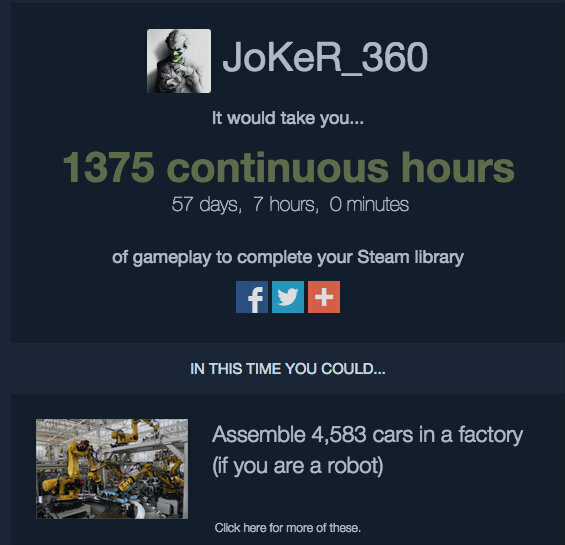 It appears that Alessandro has a much worse Steam backlog – just look at how many cars he could assemble if he completed all his games! How many games are sitting in your backlog? Would it take you a year of continuous play to complete them all, or just a couple of months of serious gaming? Previous article Of course The Order:1886 has pre-order DLC!